Accidents involving large, commercial vehicles frequently result in catastrophic injuries. These often result in serious injuries because of the size difference between commercial vehicles and personal vehicles, and the speed at which the impact happened. If you have been injured in a serious truck collision, you will have legal issues to overcome when you file your personal injury claim. At Spadafora & Verrastro, LLP, we offer experienced legal representation for those who have been seriously injured in semitruck, 18-wheeler, tractor-trailer and other commercial vehicle accidents. We are advocates for the injured and never side with the insurance company. Our clients appreciate the straightforward, aggressive approach we take in the courtroom. We give you the facts, right from the start. There's no guessing as to what's going on with your case, and you can set your expectations high when you work with our team. Injured In A Semitruck, Tractor-Trailer, Commercial Vehicle Or 18-Wheeler Accident? Accidents occur throughout the state of New York. In particular, trucking accidents occur on highways, bi-ways and other busy roads, including 290, 33, 400 and 190. Highway accidents can involve multiple vehicles and ultimately be highly complex personal injury claims. Our Buffalo truck accident attorneys have the skills to handle the most complex of cases. Dealing with an accident doesn't just involve overcoming the injuries, but dealing with lost wages, missing work and insurance. Our attorneys help to alleviate the strains of working with insurance adjusters and trying to determine whether you have been offered a fair settlement. We offer advice about what benefits you are entitled to and what the benefits are to pursuing specific legal strategies. 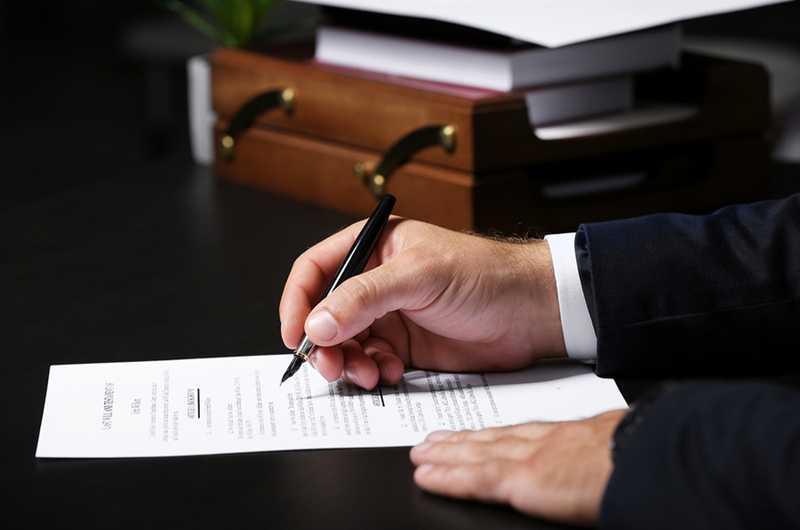 We offer legal representation for clients looking to draft wills, create simple trusts or a basic estate plan. We offer guidance and honest advice about creating an estate plan that best suits your needs. You can come to our firm with questions and concerns and be prepared to receive the answers you need to make an informed decision. There is no charge for the first consultation, and we are happy to schedule appointments at a time that is convenient for you. Call 716-854-1111 or complete a contact form online. We handle personal injury cases throughout Western New York from our office in Buffalo. All personal injury matters are handled on a no-win, no-fee basis. This means our attorneys are not paid unless we win a recovery for your claim.